Need sewing tools? You don’t have to run to the fabric store! 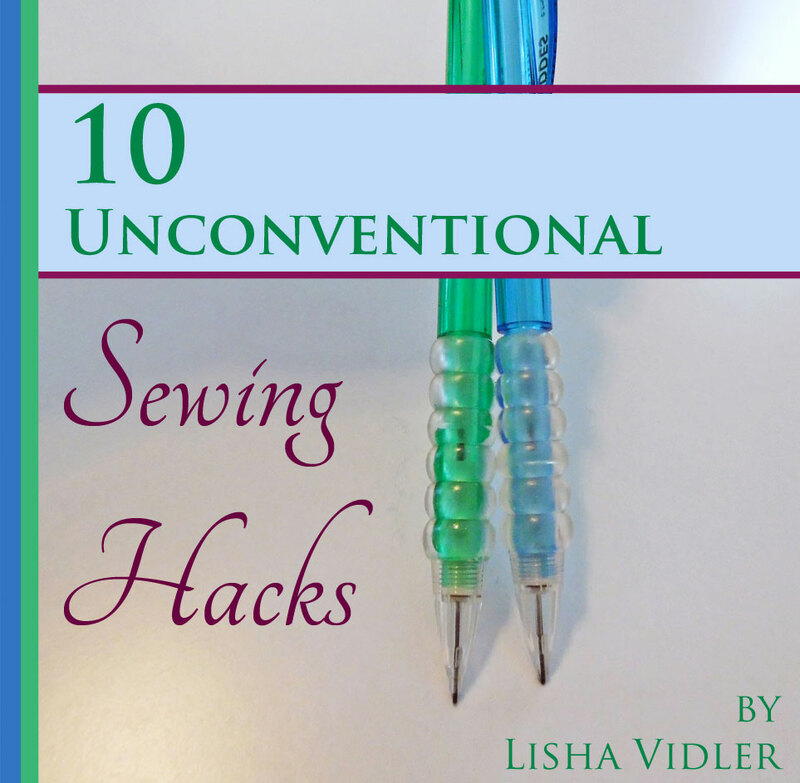 Here’s ten unconventional items you can use in the sewing room. A pressing ham is essential, because it helps you press curves, such as darts and sleeve caps. We all know how awkward it is to hold a pressing ham while trying to press something. Well, you can spend $40 on a nice wooden stand that will keep your pressing ham upright—or you can go down to the sporting goods store and buy a $4 football tee! Just be careful not to touch the stand with your iron. It’s plastic and will melt. Chopsticks are an amazing tool for the sewing room! If the tip is pointed, you can use it for all kinds of things, like guiding fabric under the presser foot, or gently poking out corners. Avoid the disposable kind that come with your Chinese takeout. Invest in a quality set made of polished wood. A cheap wooden spoon is useful for more than one thing! First, if you sew doll clothes or baby clothes and use Clover’s mini-iron, you know how terrible its stand is. Mine is always collapsing, which is dangerous if it’s holding a hot iron. The next time you’re ironing, pull out a wooden spoon, instead. Rest the hot part of the mini-iron against the bowl of the spoon. No more burned ironing board covers! 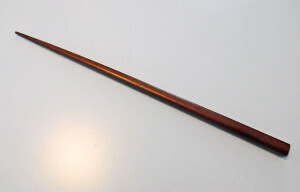 A wooden spoon is also useful for pressing seams in narrow places, such as long straps, doll pants, or the sleeve of a baby’s dress. Slip the handle of the spoon under the seam while you press. It works like a seam roll, keeping the seam elevated, so the iron doesn’t crease the edges of the fabric. 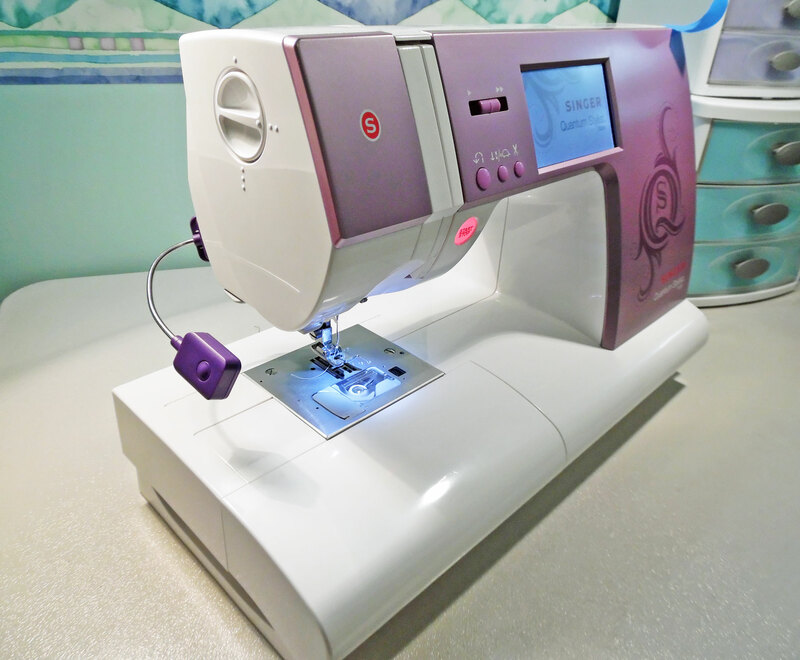 Are you tired of your sewing machine not providing enough light? Try one of those clip-on reading lights! Use blue painter’s tape to secure the light to the back of your sewing machine. (Don’t use masking tape—it’ll leave a sticky residue when you remove it.) Angle the light around the side, so it shines on whatever you’re sewing. When cutting slippery fabrics, like knit jersey or satin charmeuse, use small binder clips to hold the edges of the fabric together. The clips will prevent the fabric from sliding around while you’re cutting. 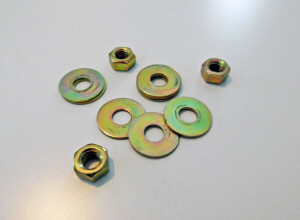 Plus, they won’t leave holes in delicate fabrics, the way pins do. Having trouble sewing a straight seam? 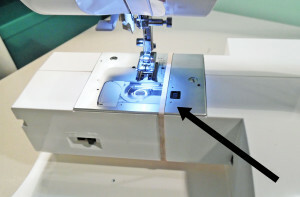 Wrap a rubber band around the free arm of your sewing machine! It will grip securely, so all you have to do is line it up for a straight seam allowance. Bobbins are such a pain to keep organized. Mine tend to roll around, unwinding their thread. 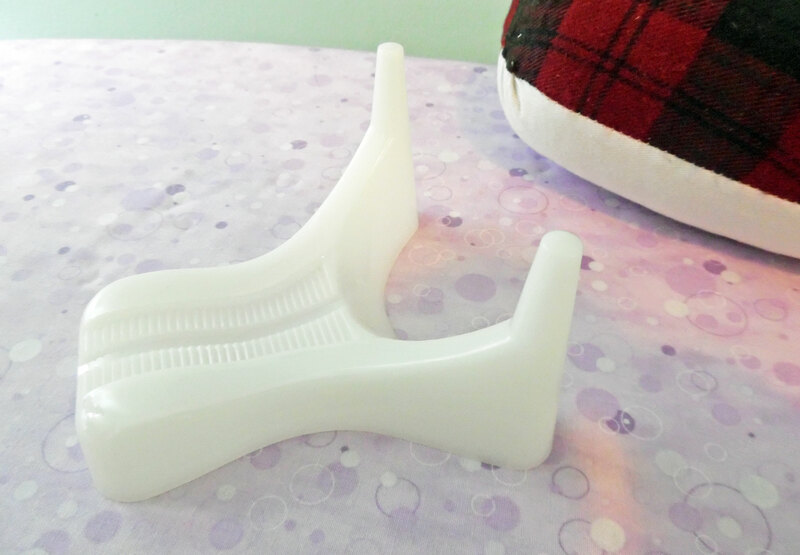 You can buy special boxes to store your bobbins in, or you can dig into your manicure kit for a cheap solution: foam toe separators! 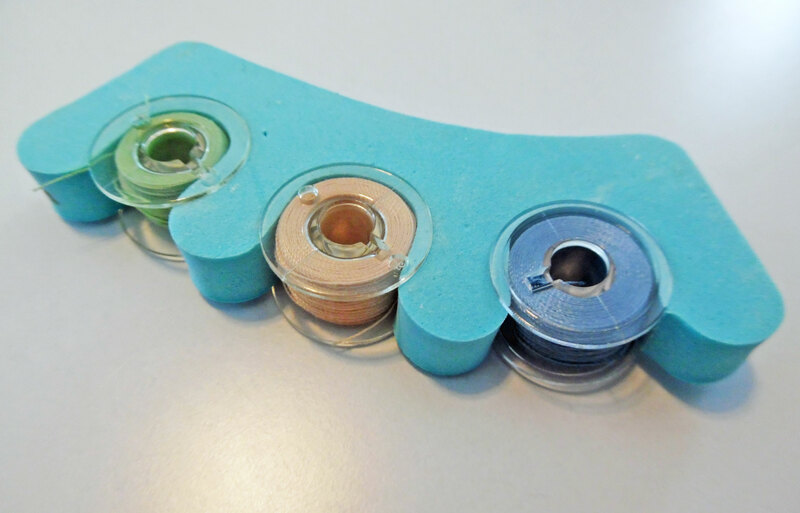 Slip the bobbins into the slots designed for your toes, and they’ll stay safe and secure, without unwinding. If you’ve been sewing for awhile, you probably know that some patterns don’t include a seam allowance. It’s a pain to measure and draw a precise seam allowance along the outer edge of your pattern, so try this. 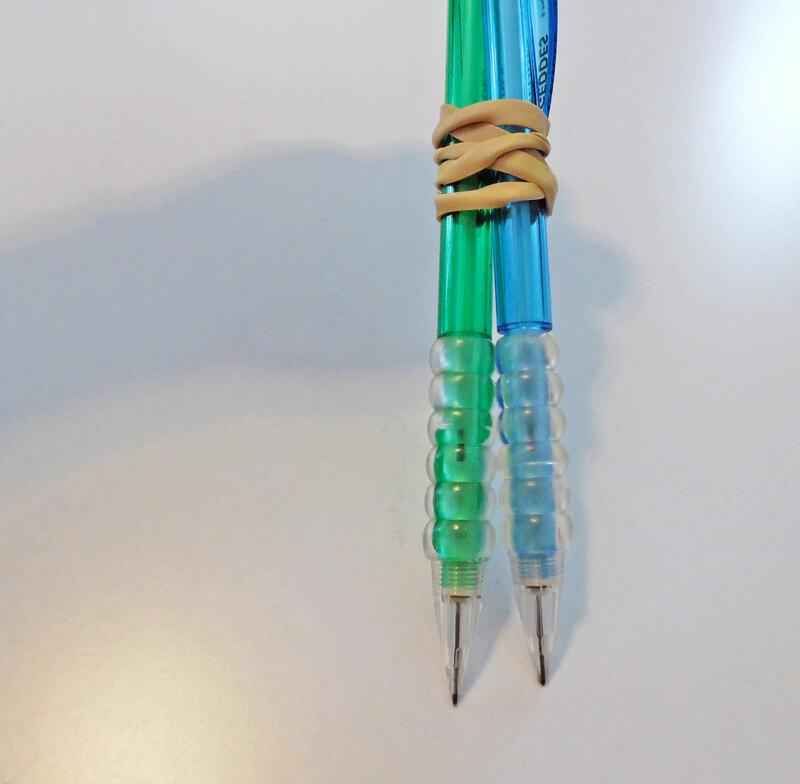 For a narrow seam allowance, take two pencils and secure them to each other with a rubber band. 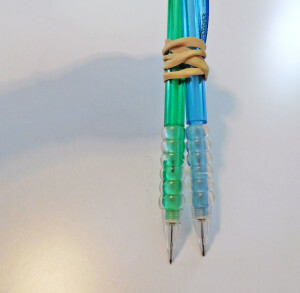 For a wider seam allowance, put rubber grips on one or both pencils. For a much wider seam allowance, secure three pencils to each other, with the middle one shifted upwards, so it won’t draw a line. Now you can automatically draw a seam allowance while tracing the edge of the pattern! You’ll be able to cut more accurately if you hold your pattern pieces down with weights, instead of pinning them. Pattern weights are expensive, so why not make your own? Buy a selection of metal nuts and washers at the hardware store, and simply stack them along the edges of your patterns. If you want to dress up your weights, sew circle pouches out of quilting cotton, felt, or tulle. Tie the pouches with pretty ribbon—and you’re all set! 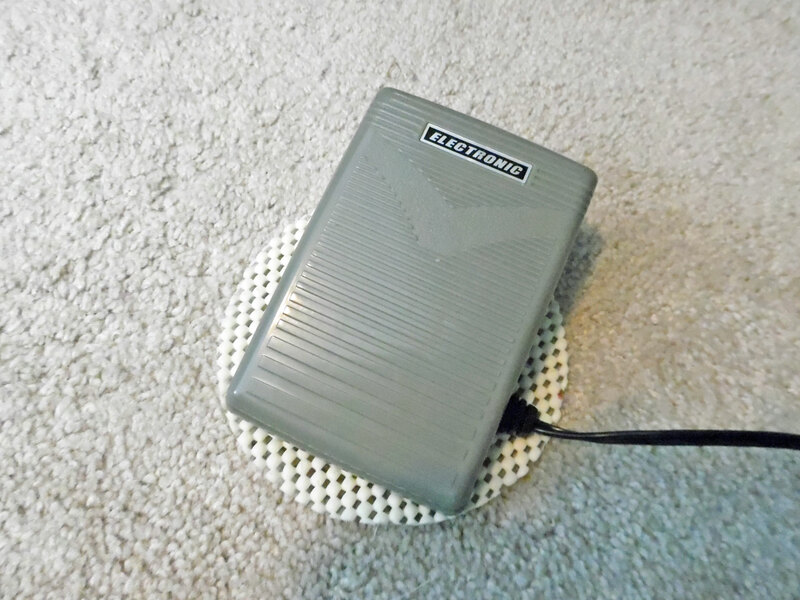 Does your sewing machine’s foot pedal “walk” or slide away from your foot while you’re sewing? To prevent this, use a small square of textured rubber, designed to keep rugs anchored. 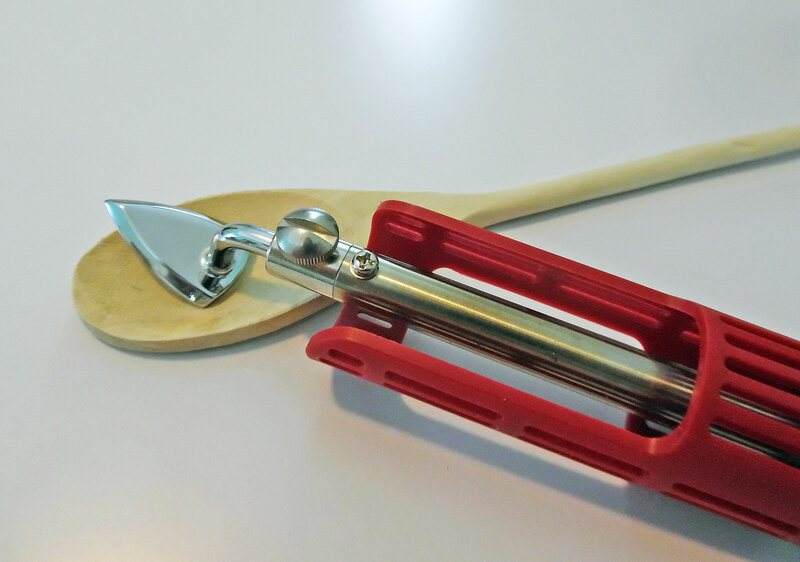 Or, you can use a jar opener! 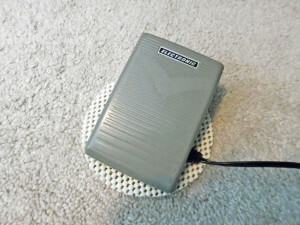 They’re just the right size and will keep your foot pedal where it belongs. As you can see, there’s plenty of unconventional products you can use in the sewing room. Keep an open mind and have a look around to see what else you can use! Looking for more sewing advice? Check the Sewing Basics menu for a list of articles designed for beginners. 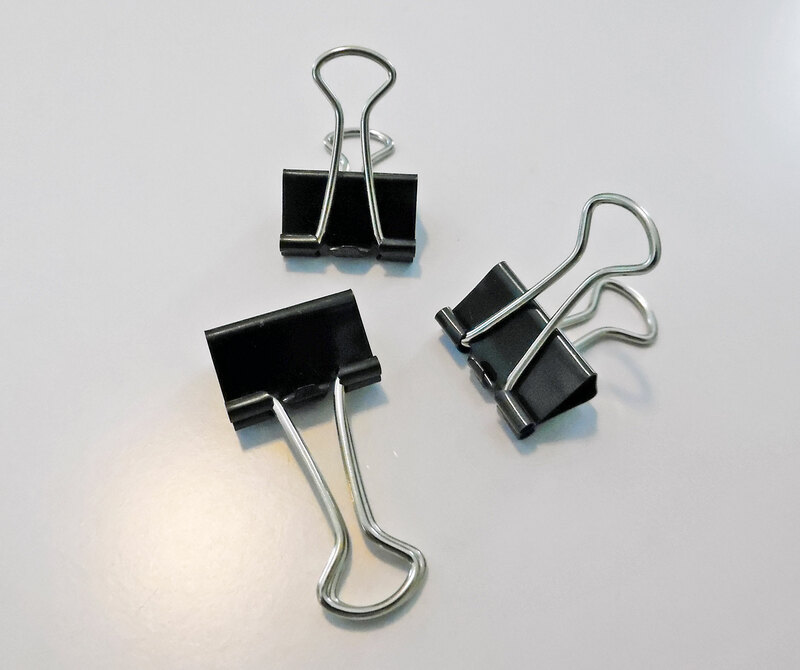 Buy a package of small removable stick-on hooks. 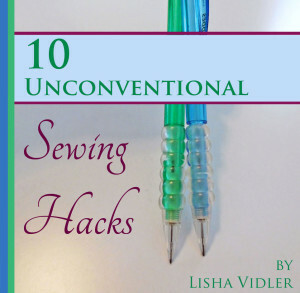 Put one on the end of your sewing machine to hang a small pair of scissors on.